Respecting and reverently fearing the Lord and agreeing with His Word about something isn't being judgmental, it's being wise. The observation of an immovable fact is not being judgmental, it's knowing the truth. Telling the truth is not being judgmental, it's being honest. When you attempt to analyze someone's character via their behavior to determine what their motives might be or what might be in their heart, that's not being judgmental, it's being discerning. Jesus addressed all of this in His Sermon On The Mount in which he spoke against being judgmental while simultaneously speaking in favor of using good discernment. While only God can know the heart completely, Jesus taught us how to discern someone's heart by observing the kind of fruit they bear. 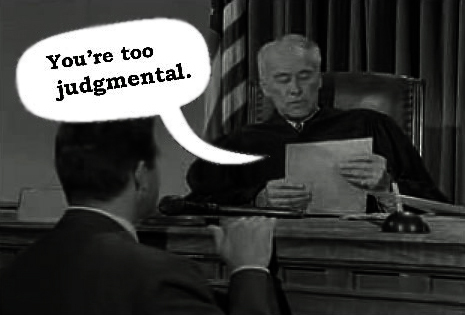 Judging is personal condemnation. It's when one person condemns another person. Jesus told us not to do that because we have only One judge who is God. But when one person condemns a form of behavior as evil, wicked, harmful or unhealthy, that's called discernment. Discernment is a good thing. Without discernment, no one would be able to point out healthy food vs unhealthy food, good driving habits vs bad driving habits, etc... Good discernment is how we decide all things in life. 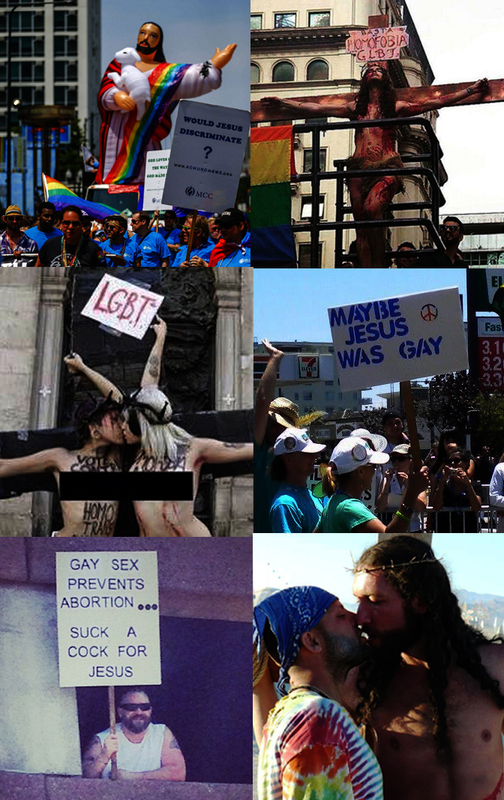 Only when it comes to certain forms of behavior (such as homosexuality) is good discernment called "being judgmental". I'll admit that those with unhealthy lifestyles may feel that they're being judged when others condemn their behavior, such as how smokers feel when whole cities adopt ordinances that push them into the backrooms of a restaurant, or outside the restaurant, or 20 feet away from the entrance of the restaurant, or away from the parking lot altogether. (I used to be a smoker, so I know what that feels like.) But people would tell you that no one is judging smokers personally, they just don't agree with the lifestyle of smokers and don't want to be around it. Our entire nation has adopted laws through taxes and insurance penalties that condemn the smoking lifestyle. I don't recall anyone accusing non-smokers of bigotry, hate-speech or judgmentalism when any of that happened. Why aren't lawsuits being filed against establishments with smoke-free environments for discriminating against those with different breathing-orientations? Passing laws that limit an unhealthy lifestyle isn't being judgmental, it's being discerning and protective of those who wish to be free from it's effects. Those who engage in the homosexual lifestyle are engaging in an unhealthy lifestyle that is both harmful to themselves and harmful to society. Whether or not they can help it is debatable and irrelevant. I know this because I've spoken with several Christians who came out of the homosexual lifestyle who helped me understand what it's all about. Having a discerning spirit is a good thing and it is a gift from the Holy Spirit. If we were to apply the world's standards of being "judge-free" then we would have to eliminate all bathroom scales that offend the obese every time they stand upon them. We'd have to eliminate oral thermometers so as not to offend anyone with high fever. If health-food stores had to comply with the obese community as so many are now having to comply with the gay community, then health-food stores would have to start selling junk food to keep from being accused of discrimination. We're supposed to be healers in a hurting world. How can we begin to heal anyone of anything if we won't acknowledge the sickness? What if doctors were asked to set aside their judgment? They wouldn't heal anybody of anything. They couldn't call the flu, the flu. They couldn't say diarrhea was diarrhea. They couldn't tell smokers to stop smoking to prevent lung cancer. Doctors pride themselves in identifying diseases by name and offering remedies for each disease. Well, the Christian remedy for the disease of sin (any sin, not just homosexuality) is to acknowledge it before God, repent of it (which simply means, we agree with God on His views about our sin) and then allow the blood of Jesus Christ to wash away our sin and guilt and then let God go to work on us. That doesn't make us perfect, but we've humbled ourselves before God and aligned our view of our sin in agreement with God's view of our sin. The gay community wants nothing to do with this. How did John the Baptist approach people during his witnessing ministry? He didn't preach love, tolerance and understanding; he called out all sinners in the land from the peasant to the King himself. That's why he was arrested because he brought to light the fact that the King was sleeping with his own brother's wife. What about Jonah? Did he go to Nineveh and say, "Listen guys, I understand how it is, but... ya know, God really loves you and would like to heal you, and don't take this the wrong way because I'm not here to judge you or anything but..." No, we don't read any of that. He went to Nineveh with the message, "In 40 days, Nineveh will be overthrown!" Period! Nineveh miraculously repented and God spared them. Jesus was not without kindness and gentleness but if you'll remember his conversation with the woman at the well in John 4, he didn't waste any time pointing out to her the sin she needed saving from. 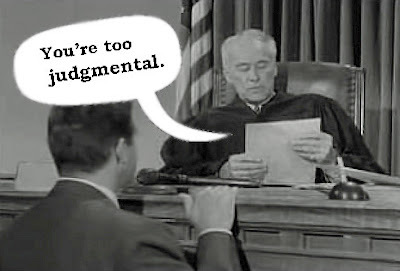 To understand more clearly what the Bible teaches about judgment vs discernment, click here to listen to the Bible Study we published in 2010 where we covered Jesus' Sermon On The Mount and what He specifically said about being judgmental and being discerning. In the meantime, I believe Satan is using the fear of sounding judgmental as a tactic to keep Christians from speaking the truth. Biblically-literate Christians need to get over that fear, now more than ever before! !